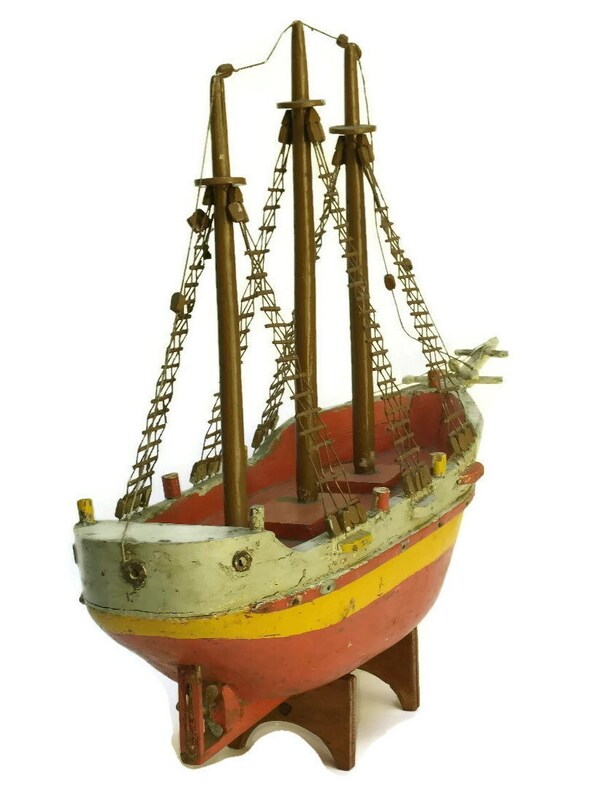 Antique Ship Model. 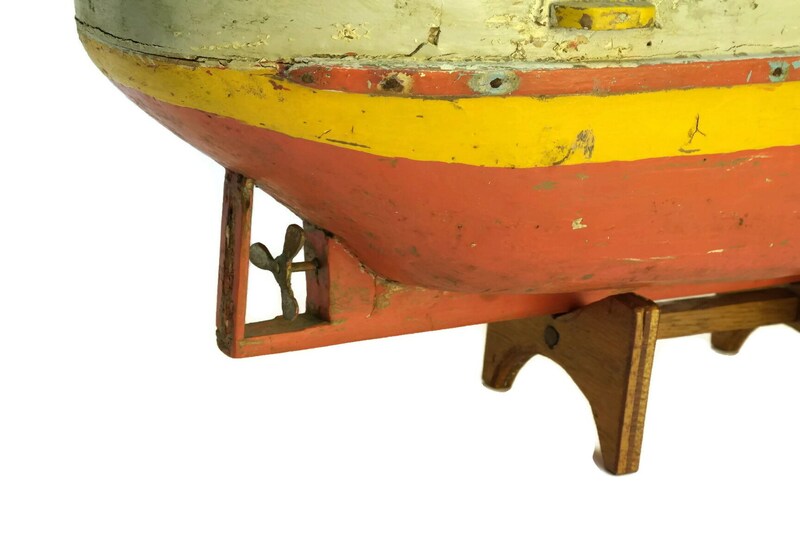 Pond Boat. 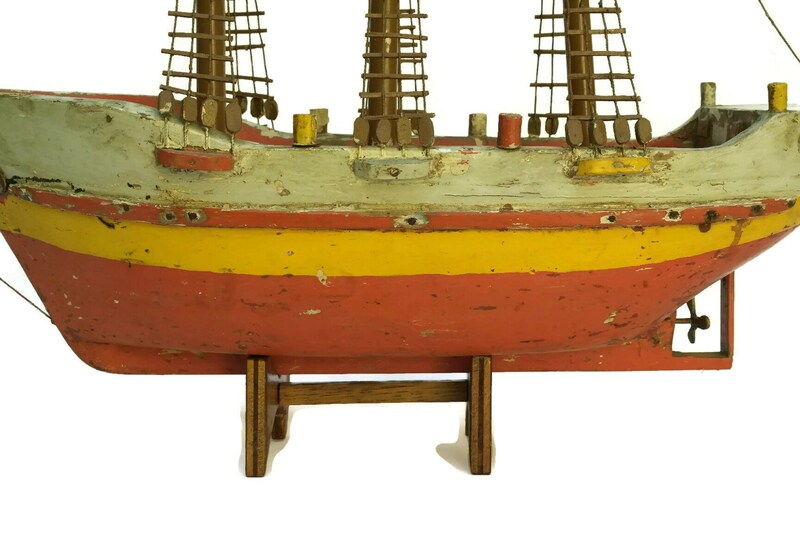 French Nautical and Coastal Home Decor. Gifts For Him. 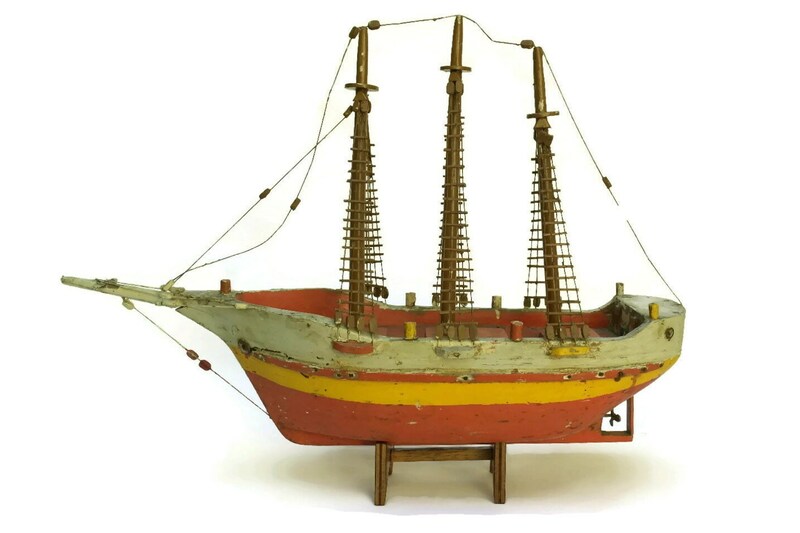 A large French antique ship model dating to the early 1900s. 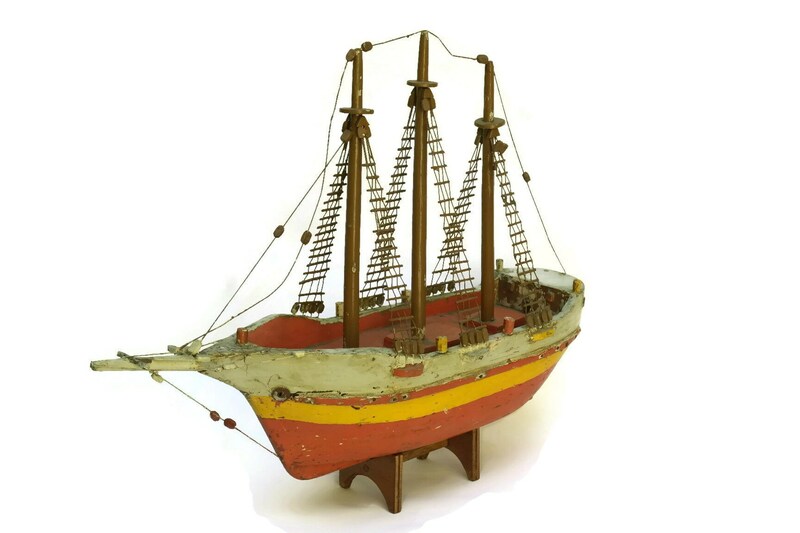 It has been hand crafted from wood, metal and cord and represents a 3 masted sailing boat. 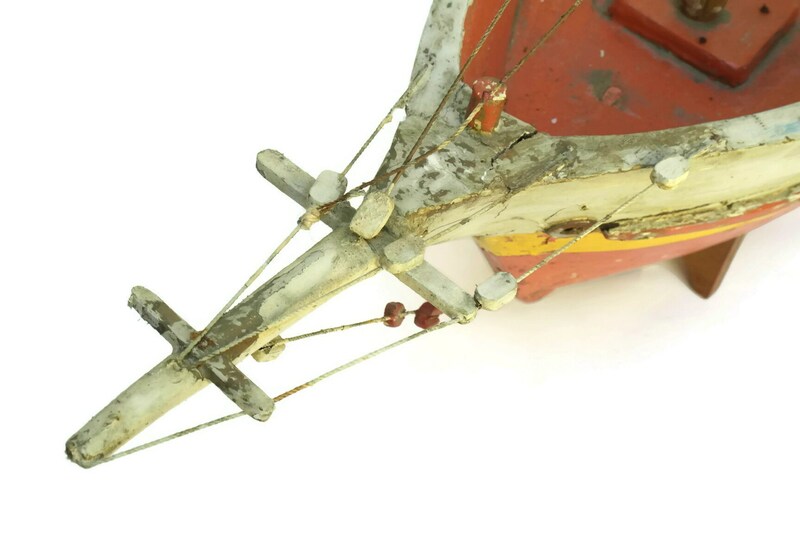 The pond boat has been painted in shades of red, yellow and pastel green and features finely crafted details including a metal rudder, miniature life boats and finely worked rope details. 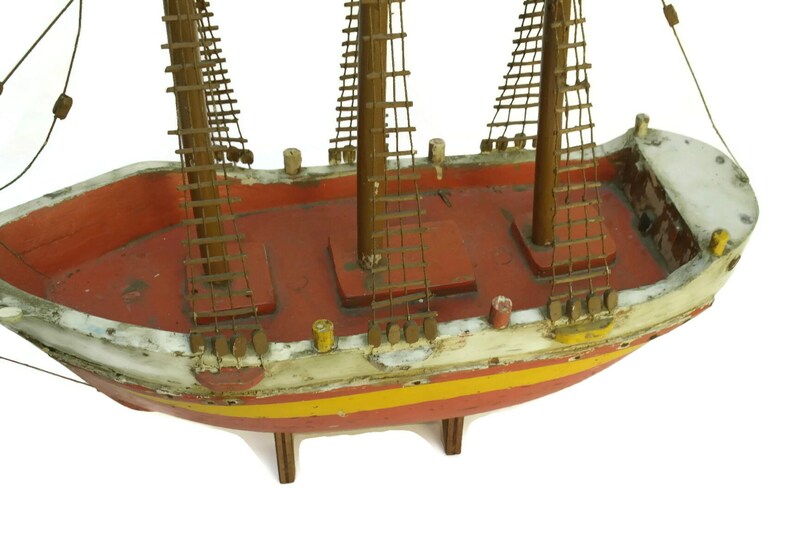 The ship model comes with a wooden presentation stand. 27" Long x 21" Tall x 7" wide. 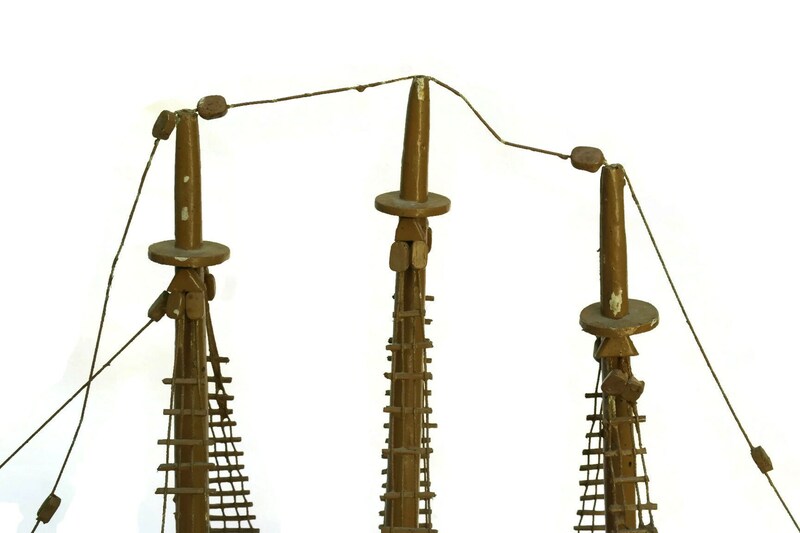 (69 cm x 53 cm x 17,5 cm). 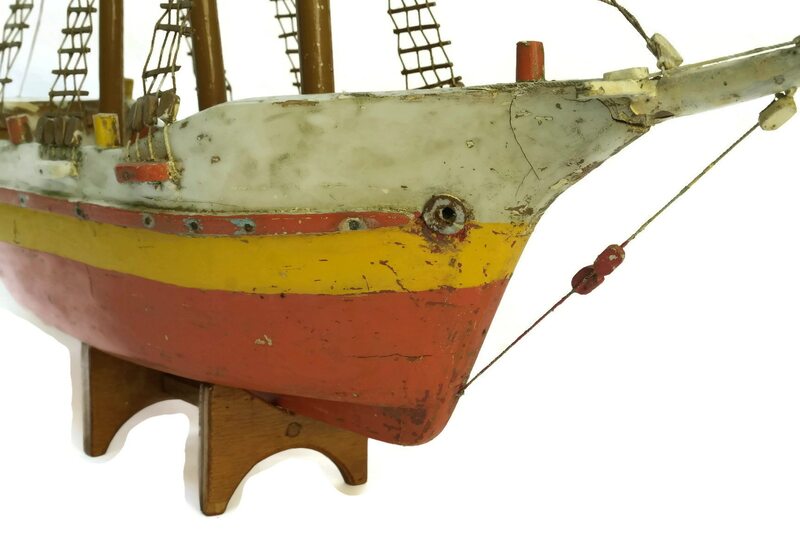 The antique model ship is in good condition with some signs of age and wear including flakes to the paint and surface marks. 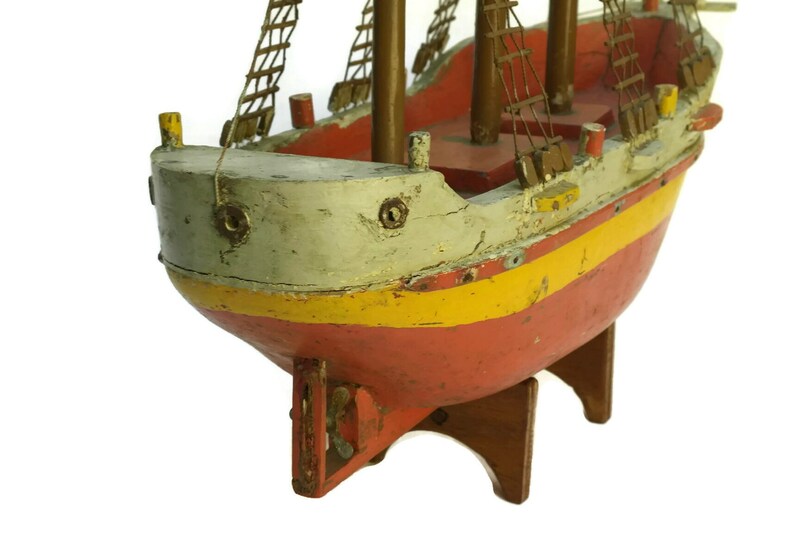 There is some space between the joints of the ship's bow at the front.